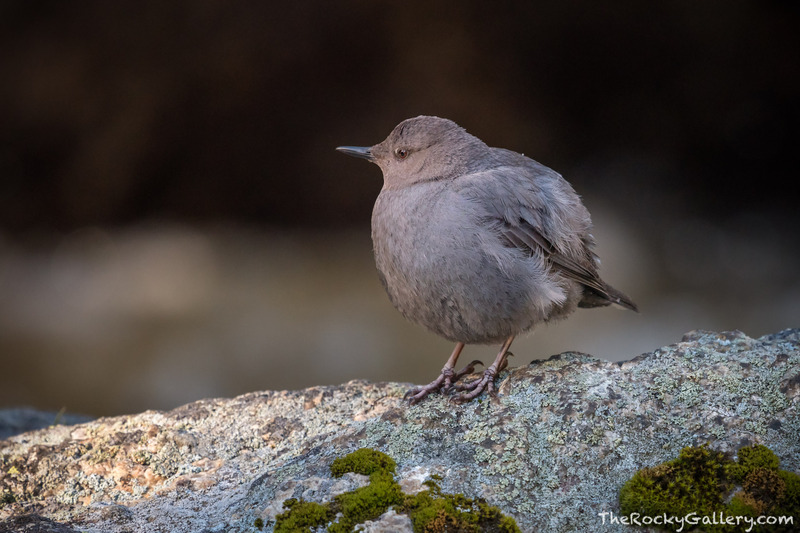 Hike along any of the trails in Rocky Mountain National Park that follow a stream or river and you are very likely to encounter American Dippers or Ouzel's jumping from rock to rock looking for food. These birds have no fear of rough water or rapids and will launch from the rocks into the tumbling streams to submerge and find food just below the waterline. They may not be Rocky's most colorful birds, but they are certainly one of the funnest birds to watch while taking a break streamside. Photo © copyright by Thomas Mangan.